We create remarkable projects to get you closer to success. We are a professional and experienced Toronto web design company, and we ensure your website is functional, user-friendly, easy to navigate and attractive to online visitors. As an innovative Toronto web design agency, we know how to combine beautiful images, words, and ideas into the successful visual product that appeals to the audience. With the global use of mobile devices, high-quality mobile apps are essential to the success of your web strategy in today’s marketplace. Trust Eggs Media as a mobile web design company Toronto. Through our smart, intense and efficient search engine optimization approach, we strive to promote your unique business to top ranking positions across various search engines. Unlike other providers, we are also a Toronto web design company, so our hosting packages include website development with FREE hosting in the first year. Please contact us regarding this special offer! Eggs Media is a Toronto web design company that also provides graphic design, web hosting, and SEO services. Through our expertise, knowledge, dependability and cost effectiveness, we successfully serve a broad range of business needs. Our goal is to provide unique website design solutions. As an experienced Toronto web design company, we strive to create the optimal experience for your online visitors while efficiently delivering the aesthetically and functionally distinguished results. With many years of experience, our expert web design company Toronto consistently implements innovative solutions that are essential to ​the overall​ ​appearance of your​ ​​brand​. Contact us for creative​ ​and unique​​ ​web ​design ​solutions! Website design for Rapid Capital - a financial services firm. Website design for Resolute Asset Management - asset management financial services. ​We are a web design company Toronto focused on creating ​beautifully well-designed websites for our clients. As one of the leading Toronto web design companies, we know how important is to stand out from the competition, so we focus on improving your ​brand’s ​online appearance. In addition to being a successful web design company Toronto, we also specialize in search engine optimization and graphic design. We also are a successful SEO company Toronto focused on your brand. We as well provide affordable web hosting services. 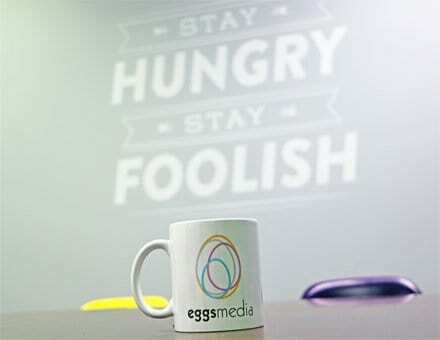 At Eggs Media, we create unique websites ensuring they are competitive to the market, responsive and searchable by Google and other search engines. Having a website is much more than just a lovely presentation of your brand. It also has to be entirely responsive, functional and optimized. As a leading web design company Toronto, we are knowledgeable in how to present your brand to the potential client in the best light possible! We had a great experience with Eggs Media! First they created a sleek and modern logo for us. Then they made a fantastic new website which we are proud to show our customers. They guided us through every step and made the transition from our old, outdated website to the new one really simple. Eggs Media helped me transform my business from solely a word-of-mouth marketing approach to a web strategy that included a functional, client engaging website. They understood my business and were able to quickly and efficiently deliver a product consistent with what I envisioned. Eggs Media – Toronto web design company did a fantastic job of my website. Before it was tired and amateurish, but now it looks really professional. It was easy to work with these people to get the website I was looking for, and they produced my site and implemented changes very quickly. Trusted Toronto Web Design Company. Eggs Media is a trusted Toronto web design company that specializes in creating responsive, effective, and beautiful websites for a wide variety of clients. We are a web design company Toronto and beyond that puts our clients first. We know how important quality web design is and always work to fully understand our clients in order to best represent their brand and boost their online presence. 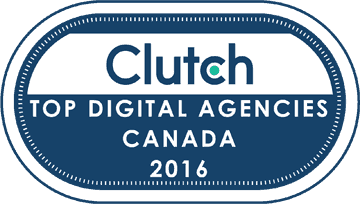 If you’re looking for a Toronto web design agency, you’ve come to the right place. We have been successfully serving a wide range of industries, and our designs have been proven to bring business growth. We combine technology and creativity to develop websites that reflect the uniqueness of your brand. 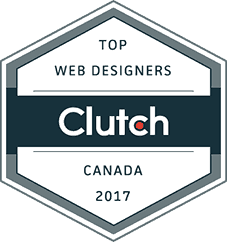 Being recognized as one of the top Web Designers in Canada, we at Eggs Media create high-performance websites that follow latest design & development trends. Our websites are professional, highly functional, responsive, and appealing. Choosing us, you will be dealing with the experienced, professional, creative, innovative and knowledgeable team and among all – we will be focused on you and your brand all the way through the project. Fill out the contact form, and we will get back to you shortly!